Expression Blend MVP Victor Gaudioso was an energetic, enthusiastic developer and designer known for his tireless hard work, devotion to teaching both developers and designers to work together and a great passion for the community. Victor died on Monday, April 2nd in Northridge, California. Victor is survived by his wife, Shay, and his three kids, Brianna, Tristan, and Luke. Victor co-founded and ran the first Los Angeles Silverlight User Group (LASLUG) in 2009, which was created so that interaction designers and developers could come together to learn about Silverlight, the Expression Suite and creating rich Internet applications. Under Victor’s leadership, LASLUG has grown bigger everyday with more sponsors and more attendees. LASLUG broke the User Group record in many ways. It has 344 members, it was the first User Group to live stream their meetings worldwide and it was the first User Group to have their own LA talk radio segment “The Silverlight Corner”. Everyone in the community remembers Victor for his dedication, high-energy and generosity in sharing his knowledge with any developer/designer he came in touch with. 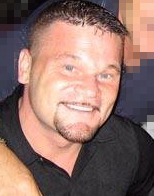 “Victor personally helped dozens of people who contacted him requesting help with their WPF and Silverlight projects. He always had an incredible enthusiasm to emphasize with and help others.” - Michael Washington, Silverlight MVP. “If you met Victor, you’d never forget him. He was known for being the most enthusiastic Silverlight supporter out there. He was ALWAYS jazzed.” – Scott Hanselman, Principal Program Manager, Microsoft. “….he was absolutely high-energy, pumped up, and full of zeal for the technology. He was continually laughing, and making those around him laugh as well.” – Dave Campbell, Silverlight MVP. For having had worked on things from the Silverlight 1 Launch and various other projects, pulling all-nighters, going to conferences, reviewing books, etc. together, Silverlight MVP David Kelley and Victor became friends. 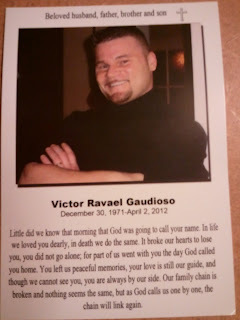 David, along with many good friends of Victor, mourn the loss of someone that brought so much energy to what he did. “Even when everyone on a project was depressed and worn out, Victor kept our spirits up and kept us going. He was always ready for a good party,” said David. “I remember him as one of the most enthusiastic passionate evangelists for Silverlight around - he pushed forward and tried to share as much knowledge as he could in spite of any obstacles.” – Jeremy Likness, Silverlight MVP. Immediately following the Church ceremony, everyone will drive over to the Oakwood Memorial Park Cemetery in Chatsworth for a 1pm burial ceremony. LASLUG and the community are also planning other activities for Victor, please follow LASLUG page for details/updates. Included on that page is a link to a memorial fund the family has set up for those who would like to help Victor’s wife and children. Victor Ravail Gaudioso; Little did we know that morning that God was going to call your name. In life we loved you dearly, in death we do the same. It broke our hearts to lose you, you did not go alone; for part of us went with you the day God called you home. you left us peaceful memories, your love is still our guide, and though we cannot see you, you are always by our side. Our family chain is broken and nothing seems the same, but as God calls us one by one, the chain will link again. Note: this application was done in Silverlight 3 but everything I show how to do is the same in Silverlight 5. In my last two videos I showed how to make a sliding panel all in Blend, but I had to use two Buttons, one that would slide the panel in and one that would slide it out. In the Storyboards for SlideIn & SlideOut I just Collapsed the respective Button. I couldn’t figure out how to do it with only one Button. So in my next video I showed how to slide the panel in/out with only one Button but had to switch over to Visual Studio and create a property called something like PanelIsShowing and then use that to run the appropriate Storyboard (Slide in or Slide out). Then someone gave me the idea to use a Toggle Button. And then another reader asked that I make a new Video Tutorial showing how to use ONE (Toggle) Button and do it all in Blend. 3. Edited the built in Checked and Unchecked Visual States of the newly created Toggle Button (made the arrow “>” change directions depending on if it was Checked or Unchecked. So there you have it a way to make a Sliding Panel using one ToggleButton ALL in Blend, using a custom ToggleButton with custom Checked and Unchecked Visual States, Storyboards and ControlStoryboard Actions. Little did we know that morning that God was going to call your name. In life we loved you dearly, in death we do the same. It broke our hearts to lose you, you did not go alone; for part of us went with you the day God called you home. You left us peaceful memories, your love is still our guide, and though we cannot see you, you are always by our side. Our family chain is broken and nothing seems the same, but as God calls us one by one, the chain will link again.